If you managed to get your hands on the iPhone XR, you’ll want to get the most out of it. That’s why we’ve rounded up a variety of settings we think you should turn on or change to allow your new iPhone to perform to the best of its abilities. For in-depth impressions of Apple’s latest release, be sure to check out our iPhone XR review, and to make sure it stays gorgeous, snag yourself one of the best iPhone XR cases. Night shift automatically changes the color of your display to a warmer tone in order to filter out blue light. This can help to put less of a strain on your eyes while you’re staring at your screen, especially before bedtime. You can schedule it to turn on either from sunrise to sunset, or customize it to turn on and off between any times you’d like. Go to Settings > Display & Brightness > Night Shift. From there, you can toggle on Scheduled and then choose when you’d like it set for. 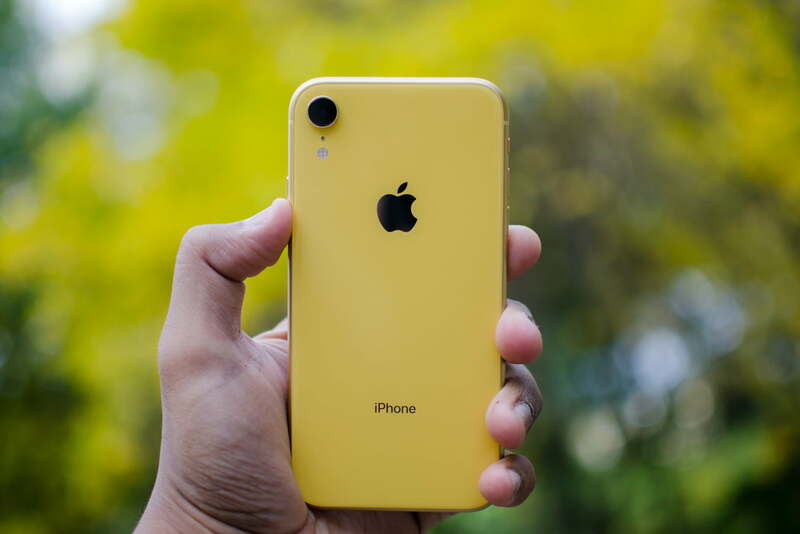 Since the iPhone XR comes with some new camera features, you probably don’t want to risk losing any of your photos. To prevent this, go to Settings > Photos and toggle on iCloud Photo Library. That way, all of your memories will be stored in the cloud and you’ll be able to view them from any of your devices. To help preserve the battery on your iPhone, be sure to adjust the Auto-Lock as low as possible. It’s set to one minute by default, but you can set it to lock after as little as 30 seconds or even never. To adjust it, go to Settings > Display & brightness and tap on Auto-Lock. From there you can choose from the options provided. To access the Control Center on the iPhone XR, you have to swipe down on the right-hand side of the notch. While it provides you with shortcuts like the ability to toggle Airplane mode, Bluetooth, and Wi-Fi on and off, you can also customize additional ones you’d like to add. Go to Settings > Control Center > Customize Controls and choose which ones you’d like to add by tapping the green plus sign icon. You can also customize the order you’d like them to appear in the Control Center by dragging each tile wherever you’d like using the icon to the right of the shortcut. With iOS 12, Do Not Disturb received an overhaul — you now have the ability to schedule when you’d like the feature to be turned on and off, rather than having to do it manually. Go to Settings > Do Not Disturb > Scheduled and choose the times you’d like to set it for. There’s also a Bedtime mode that you can toggle on and set times for instead. That way, from night to mornin,g all of your notifications will be silenced. The screen will dim and only display the date and time — it will also let you know that it’s set to that mode. With the iPhone XR’s 6.1-inch display, it might be harder for those with smaller hands to reach certain apps or parts of the display — especially one-handed. With the reachability feature turned on, all of your content can be brought down on the display whenever you’d like. To turn it on, go to Settings > General > Accessibility > Reachability and toggle it on. Swipe down on the bottom edge of the screen to bring the top into reach. To set everything back into its place, swipe back up about an inch above the bar or tap anywhere on the display. Let’s be honest, no one can actually stand the sound of the keyboard clicks when typing on the iPhone. The clicks automatically begin to work whenever you turn your ringer on. But since it’s on by default, you’ll have to turn the setting off manually. Go to Settings > Sounds & Haptics > Keyboard Clicks and scroll toward the bottom to toggle Keyboard Clicks off. Aside from a physical pass code, Face ID is the safest form of security you’ll get on your iPhone. When you first set up your iPhone, be sure not to skip over this process. If you do, you can always go into Settings > Face ID & Pass Code and tap Set up Face ID. You’ll then be taken through the process of capturing your features with the iPhone’s camera. You can also set up a second Face ID by tapping on Set Up an Alternate Appearance. 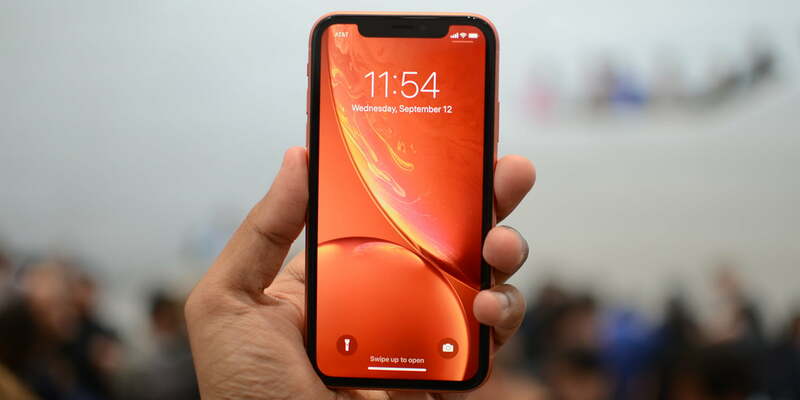 While the new iPhone XR doesn’t come with the 3D touch capability found on most iPhones, it does come with a Haptic Touch feature instead. Whenever you long press on the display, you’ll trigger feedback to indicate you’ve selected an action. You can use it on the lockscreen (when tapping on the flashlight or camera icons) as well as the control center. When sending emails on your iPhone, the default signature on every email is “Sent from my iPhone.” If you want to change it, go to Settings > Mail > Signature, erase the phrase and type in whatever you’d like, or choose to not have a signature at all. You can also create one signature for all your accounts or create separate ones for each email address.